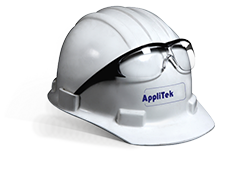 AppliTek has its own Application department where a dedicated team of specialists in specific analysis techniques tackles difficult and exotic applications. Depending on the application, a variety of measurement techniques or technologies can be implemented, such as titration, UV-VIS, infrared, luminometry and even Raman spectrometry. Over the years AppliTek has built a large database of applications. If you do not find your application in the Product & Solutions section of this website, do not hesitate sending us an inquiry. To get substantial return from an investment in process control, quality control or any change in a production process, it comes handy being advized from a third party having experience in process monitoring. The results of this particular kind of study go further than just application advice. It provides the critical information to determine the potential impact of an investment, or maybe to have a second opinion on earlier studies. If a suitable analysis method for your application is available, AppliTek will report results and recommendations. This report can be consulted at any time, with no immediate obligations from your side, but remains confidential. AppliTek has an extended experience in developing and maintaining calibration models for spectroscopic instruments using x-ray fluorescence (XRF), near infrared (NIR) and Raman, with spectra of x representative samples measured and related to reference laboratory values. Patterns in the data are modeled in order to be routinely applied to future data. AppliTek approach: the model is thoroughly validated, not only in the laboratory (blind testing) but also in real-life process conditions. The final step is to finetune the prediction model by taking into account as much variations as possible outside ideal process conditions.